If you missed your chance to score a free Gear S3 smartwatch and wireless charger with the Galaxy Note 9 from Samsung a little while ago, and you also hesitated to buy the amazing phone alongside a Gear IconX and wireless charger at a special price on Amazon earlier this week, Best Buy has an interesting new deal in place. Galaxy Note 9 shoppers, as well as those looking to get a slightly older Galaxy S9 or S9+, are now eligible for a 32-inch class TV gift without jumping through any hoops. All you have to do is activate your favorite handset of the three on a Verizon device payment plan, AT&T Next, Sprint Flex Lease, or Sprint 24-month installment agreement. The Note 9 qualifies for this sweet freebie even in an unlocked variant, although the price has naturally gone back up to $999.99. Samsung’s latest flagship is available in Ocean Blue, Lavender Purple, and a newly released Cloud Silver hue, while the Midnight Black model is technically eligible for the promotion too, but you can’t actually order it yet. As far as that TV is concerned, we’re obviously not talking about any 8K powerhouse here. The UN32J4000 is not even capable of delivering 1080p resolution, but you know what they say about gift horses. As long as this is normally worth $179.99, you can probably find it a purpose. After all, it does come with HDMI, built-in Wi-Fi 802.11n support, Wide Color Enhancer technology, a USB port, Dolby Digital Plus and DTS Premium Sound 5.1 functionality, as well as a 31.5-inch screen. You could definitely do worse in terms of freebies, especially when bundled with a Galaxy S9 or S9+ phone. Wow. Seems more and more freebies to Samsung. Too many gadgets that need to go off the shelves and will be counted as sales to get the most number of sold. Poor Sammy is so frightened and desperate now more than ever. If you look closely, they said "Best Buy" in the very beginning of the title.. And if you even read the article, they also said it required 24-months carrier's plan. 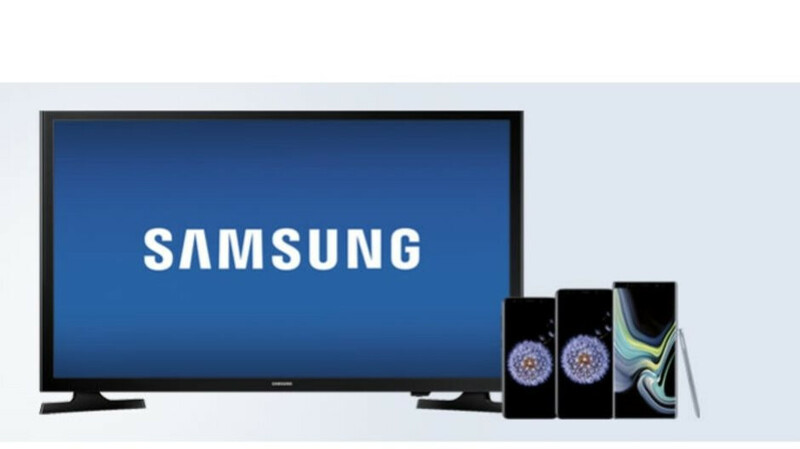 Samsung didn't do this deal, it's Best Buy and carriers that did this deal. Those 2 imbeciles above don't see that. They just see an opportunity to troll a Samsung article. Jumped in the first opportunity troll a Samsung article but wound up making yourself look stupid. I have $100 for you if you can go there rest of the year without trolling a Samsung article. Care to take me up on that?